Actress by day and musician by night, Munroe is an artist on the rise. Releasing her self-titled debut EP, Munroe, last month, she presented audiences with the beachy sound heard in tracks Summer and Bonnie, to the dark haunting sounds of Bloodlet, and Mercy. There is an array of melodies, harmonies and genres blended in the EP, as well as, a balanced, paced tone that bleeds from one track to the next. Yet, there is something strikingly different about each track. 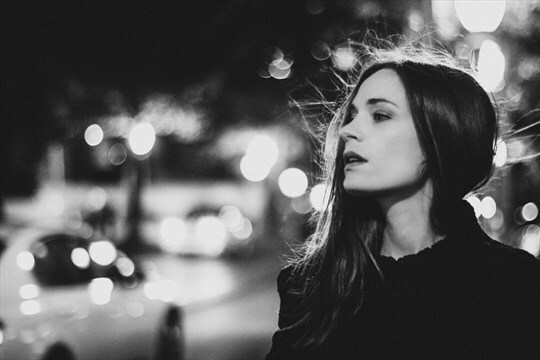 She describes her sound as “lazy” and “sparse” but the intricate balance to each song displays anything but laziness. The beautiful EP has been catching positive reviews from critics and once it’s heard it’s clear why. 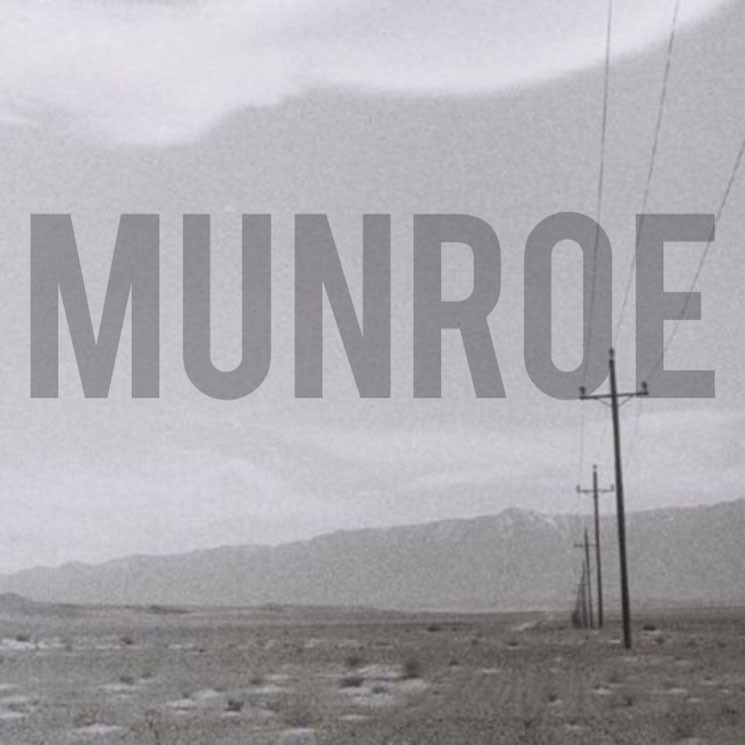 Throughout balancing a successful acting career and dedication to music, Munroe took some time to introduce herself and talk a little about the EP that’s causing such a commotion. Q: When did you first start playing? I first started playing piano when I was two years old. My grandmother taught me. I started writing songs when I was five or six. I later learned guitar basics from my dad when I was twelve, and taught myself a few other things as well. Q: How was the experience of recording the EP? It was a really wonderful collaboration. Mike Keire of Hamilton’s Threshold Studio was a true partner in the production process. We organically found the right way to render the tracks. Usually that involved mic-ing the room, recording to tape then bouncing to a digital platform, stripping things down, getting the right vocal tone. I was also really moved by the people I know in the music community who generously helped in the process. Noah Fralick of Young Rival, Ben Munoz of New Hands, Julie Fader of Etiquette, and Steve McKay of Twin Within are among the incredible people who lent their time and talents to the EP. I think the world of them. Q: The EP is rather emotional, was that sound difficult to capture? Feeling exposed or vulnerable can feel uncomfortable. But in terms of production, there wasn’t much in the way of cultivating a sound or trying hard to capture what was there. It was just about recording the songs as they were, in a minimal style that felt natural. Q: Where have the biggest influences come from and how did they shape your EP? I get impacted by movies, music, literature, places and times. I’ve been traveling a lot for work the last few years. I’ve spent time on the Canadian East Coast, in the American South, in the California desert. Those places, along with other art I consume, inspire stories, and the stories become songs. Q: What is the one thing in your music that shows audiences who you are? I don’t know if my music literally shows audiences who I am; I don’t often write autobiographically. But I guess there’s a communication of perspective of some kind. It’s not a self-conscious attempt, but I think the lyrics and the spare approach to production probably communicate something about my worldview, and/or my artistic sensibility. Q: How does performing live shape you as an artist? I find limits are often useful for inspiring creativity, and right now what I can do in a live show is limited because I play live on my own, with no band. That means I need to come up with ways to fill in the sound and make it compelling as a solo show, and that exercise often brings about solutions that impact the way I approach my songs. I also find not being able to hide behind much instrumentation can be a good lesson in restraint. Sometimes it’s important to sit in silences. Sometimes it’s important to find space in the music. It’s important to be confident; to not over-layer songs out of fear that they’re not inherently interesting. Each song asks for its own approach, and that becomes clear, in a new way, in preparation to play live. These are things I remind myself of in the writing process. Q: What has been your biggest struggle? Initially, it was finding guts to share something that, for so long, had been private. Then it because about finding time. I’m an actress, so I often have a pretty erratic, unpredictable schedule. Being able to devote time and energy to putting out the EP without compromise while constantly hustling to maintain a career in film and TV has been challenging at times. But I’m lucky to be in a field that does make room for other pursuits, if I approach it strategically. The two industries ultimately can be pretty complimentary. It’s just about finding balance. Q: What has been your biggest success? I made a collection of songs that musicians I respect volunteered to contribute to. That meant a lot to me. I firmly believe the best approach to making music is to just make the music that comes naturally, without trying to please anyone or garner attention or curry favor with listeners. I think listeners can tell when they’re being pandered to, and I think it’s the job of listeners (critics, audiences)–not artists–to decide if material resonates. That being said, it can be valuable to have a community or a creative conversation in mind that, as artists, we hope to organically speak to, through our output. I’ve heard positive responses to the EP from artists I admire, and that feels like a success. Q: What about playing live makes you feel the most comfortable? I used to have pretty significant stage fright when it came to music that I didn’t have at all with acting. I’ve somehow learned to relax, and enjoy being on stage now. The immediacy of the experience with the audience is pretty special. It’s like a feedback loop; a constant mutual call and response. It’s powerful. Q: What has been the best response you’ve received so far? I’ve been really pleased with the reviews. I didn’t know if what I made would make sense to listeners, or what tradition/conversation it would be placed in, and I’ve been touched and encouraged by the response overall. Again, though, I think what’s been most meaningful to me is the positive response from other artists. Q: What does the next year look like? I just finished filming a beautiful Canadian feature film called Birdland; I’m excited about that. I’ll keep working on new songs, record again, and see what else happens. I’m eager. With a movie on the way, Munroe has also begun writing for a debut album that she hopes to have recorded in the coming months. The talented beauty is definitely someone to keep on the radar.